“The first result of a Google search using the key-word “buffer systems” is a Wiki page on a regulation system of blood pH the human body requires to maintain the proper functioning of the metabolism”, states Luca Fontana, marketing director of MH Material Handling. 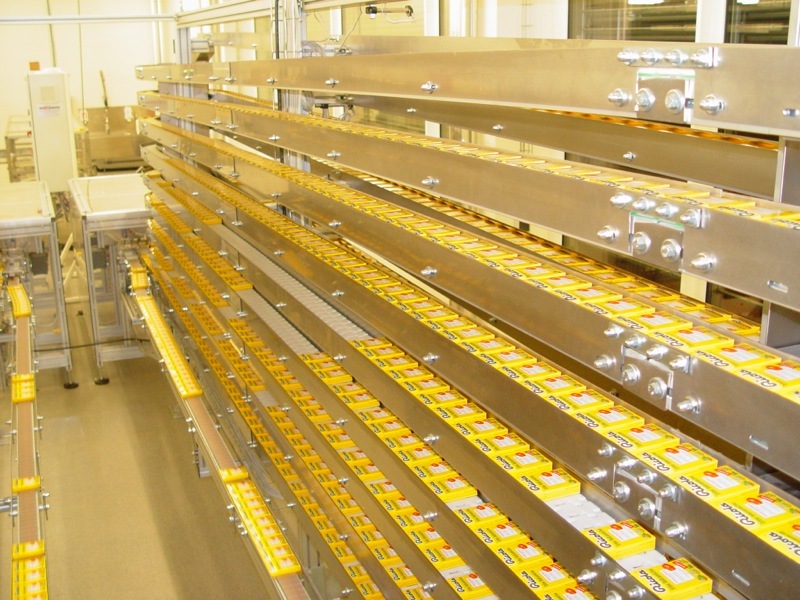 “A packaging line behaves in a similar way. The various machines involved must be interconnected by an efficient circulatory system, which is capable of balancing the operating differences which may exist between them. Conveyor belts are precisely this circulatory system. Operating difference between two machines connected in series. Productivity recovery in case of micro-stops of the machines downstream. The first situation typically occurs when an intermittent machine is connected to a continuous machine: the machine upstream produces at a regular speed, whereas the machine downstream requires a continuous flow of products that are equally spaced. A similar case is that of start-and-stop transients, which are incompatible with each other: instantaneous stop of the downstream machine, for instance, while the machine upstream has to run a few seconds longer in order to discharge all the products. Recovery in production. The solution in cases as those mentioned above, “is relatively simple”, explains Mr. Fontana. “It usually requires a few meters more of conveyor, and eventually extra motors, for regulating the flow. The banality of solutions must not deceive: costs due to the loss of efficiency caused by these issues can be considerable, and often they are difficult to identify correctly”. A buffer for the recovery of productivity is in fact a conveyor belt that becomes a real machine. Its function is to compensate for the micro-stops of various packaging machines so that the processing line never stops. The choice of its operation mode, the buffering space available, and the recovery capacity depends on many technical and economic factors, which must be carefully assessed to maximize the return on investment. “Operation, for instance, can be of the Lifo type, where the first product to enter in the buffer is the last to exit; or Fifo, where the first product in is the first out”, continues Luca Fontana. 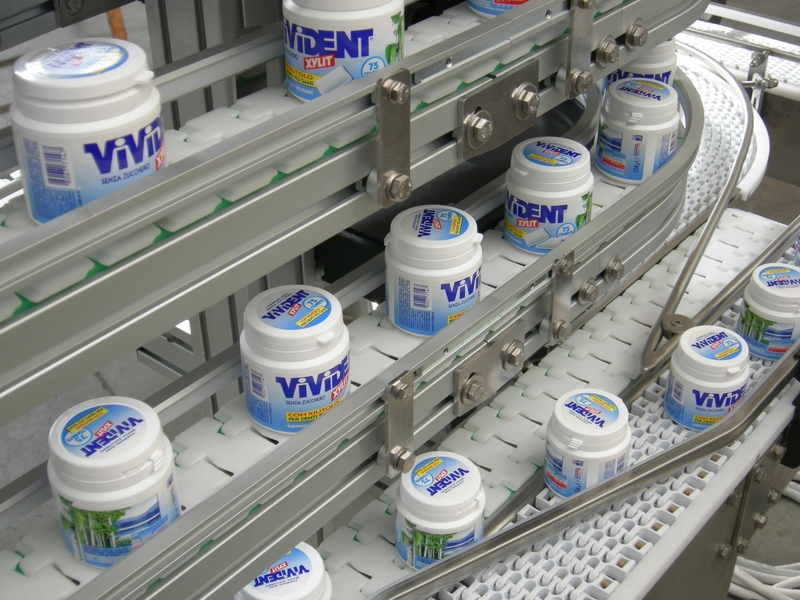 In particular, for the Fifo we are interested in machines that keep pace with the line while gradually increasing the available space, thus contributing to the full traceability of the product”. Lifo buffers are the most economical and simple. They are particularly suitable for transporting non-perishable products, with a long expiry date, that can wait for the final packaging even for relatively long times. Fifo buffers are more suitable to fresh products that require limited transfer times of the line in order to maintain the cold chain. Usually these machines are more complex, and sometimes their price can reach that of packaging machines. Buffering space. The correct sizing of the buffering space is another method to optimize productivity. It is based on the efficiency of the packaging machines upstream and downstream, and on their recovery time in the event of very short stops. A more serious failure would hardly be compensated with an on-line system, especially in view of the increasingly higher production rates. Most situations can be handled with a buffering space corresponding to 2 to 5 minutes production time. Also the recovery is a key issue, because a well dimensioned line requires that the buffer can return the product during normal production. The machine downstream must therefore be able to operate at a speed greater than the nominal one: typically from 10% to 20%. The buffer emptying time depends on this recovery capability.